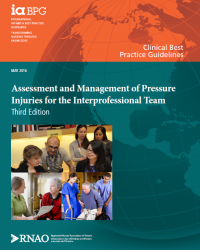 It provides evidence-based practice, education and policy recommendations for interprofesssional teams across all care settings who are assessing and providing care to people with existing pressure injuries. Moreover, this Guideline refers to “pressure ulcers” as “pressure injuries.” This new terminology aligns with the National Pressure Ulcer Advisory Panel (NPUAP). 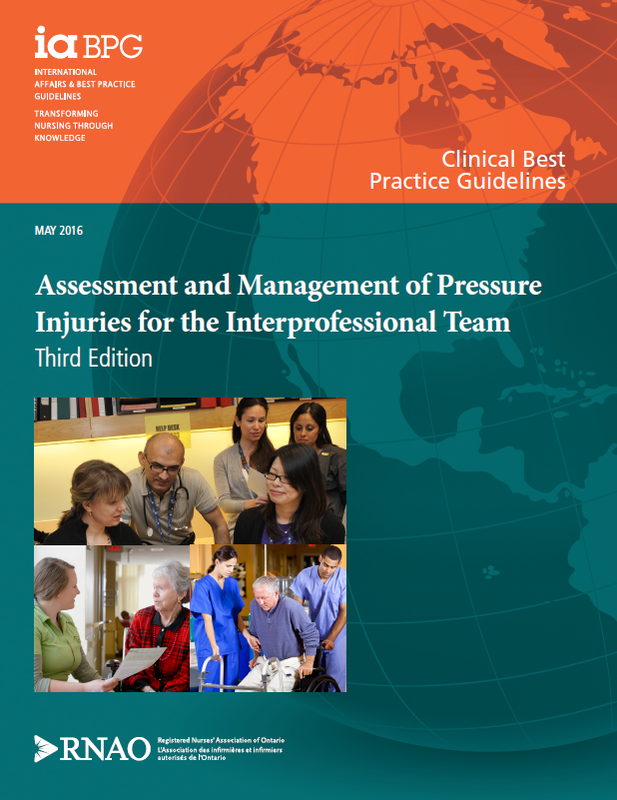 Practice recommendations are directed primarily to the front-line interprofessional teams who provide care for people with existing pressure injuries across all practice settings. Education recommendations are directed to those responsible for interprofessional team and staff education, such as educators, quality improvement teams, managers, administrators, and academic institutions. System, organization, and policy recommendations apply to a variety of audiences, depending on the recommendation. Audiences include managers, administrators, policy-makers, health-care professional regulatory bodies, and government bodies.